In 1920, Ray H. Bennett Lumber Company of North Tonawanda, New York published its 14th catalog of ready cut homes. Like Sears and Aladdin, Bennett sold kit homes from currently popular plans. Once ordered, each house was crated and shipped from Tonawanda to its new owner. Bennett Homes are concentrated in the Northeast and Mid-Atlantic states, as well as into the upper Midwest. "Today, more than ever before, people are seriously considering how they shall live. They realize that the inspiration of home, next to religion, is the greatest in life ... 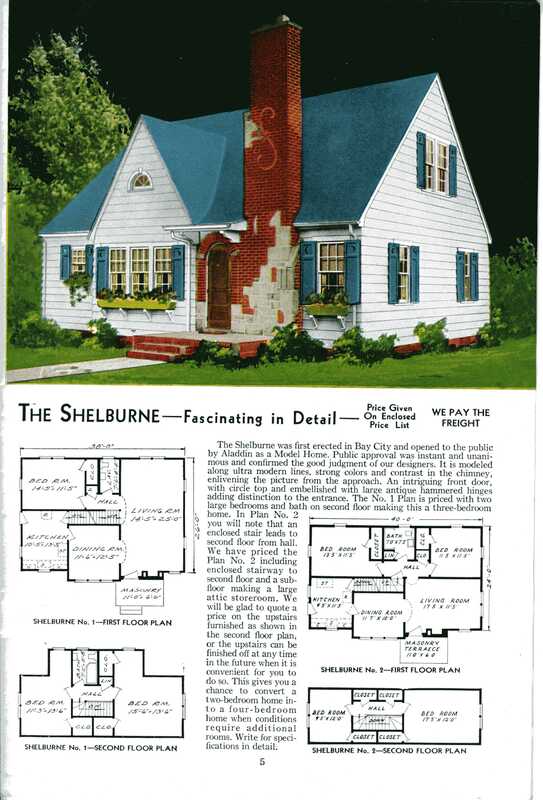 The dainty cottageâ€”the inviting bungalowâ€”the comfortable Colonialâ€”the cosy story and a halfâ€”these are the leading homes to-day ... Bennett Homes, Better-Built and Ready-Cut, satisfy every desire and every need of home-loversâ€”for the dwelling-place which shall possess charm, convenience, and endurance to the greatest extent consistent with the desired investment."